My daughter has so much fun finding and sharing lunch box jokes that I have decided to share some free printable Easter lunch box jokes for you to share with your kids! Even if your kids don't take a lunch to school, it's a great way to make your kids smile get them excited for the holidays!! 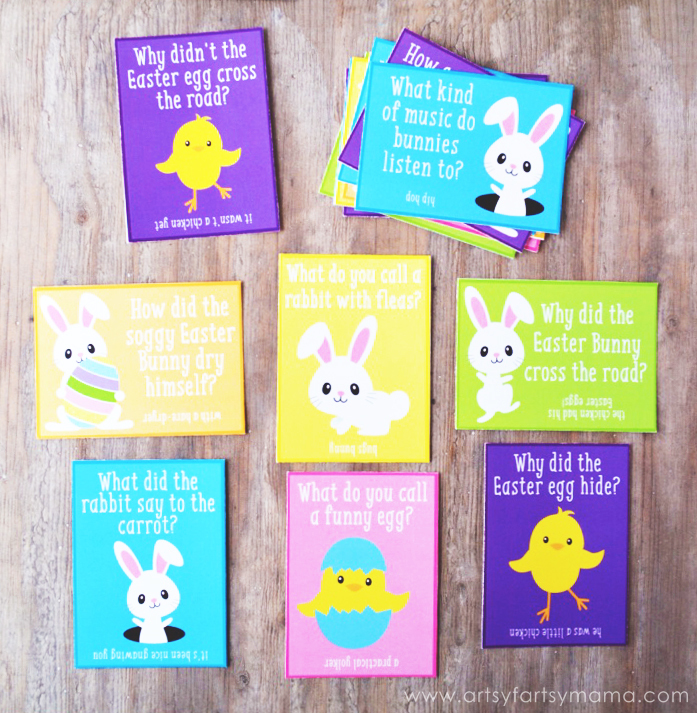 In the download I've got 16 different kid-friendly Easter-themed jokes that can either be put into a lunch box, or use them to hand out at parties and classrooms this Easter! The kids will love repeating the jokes and I'd love to hear if you decide to use them! !